Security Memetics: What blows up more, batteries or bombs? 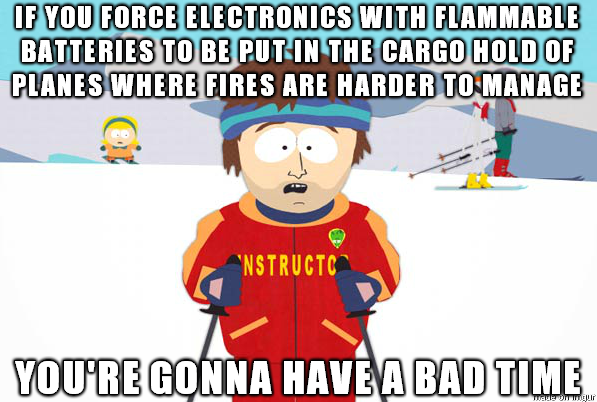 It's almost as if the people who decided any electronics bigger than a phone have to go into checked luggage were trying to create air disasters. That or they've magically never heard of exploding batteries, even though there was a news story recently about a woman's face getting burned by a battery in her headphones exploding. Whatever the justification, this is a disaster waiting to happen - a time bomb, if you will.